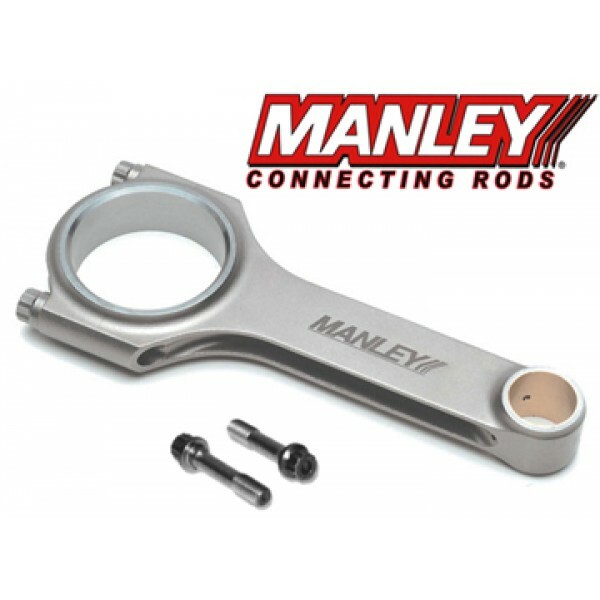 Manley H-Beam connecting rods are built standard with 3/8" ARP 2000 bolts. H-Plus sets come with ARP 625+ bolts. On all Manley connecting rods, sets are weight matched to 1.5 grams, big and small end bores are final honed to a tolerance of .0002", critical bend and twist attributes are held to a minimum, and exacting attention is paid to every detail by the final inspection department; thus rendering a finished product that is second to none. I Beam Turbo Tuff are available in the drop down selection. Pumaspeed have a specialist distribution team that can dispatch the Manley Forged Connecting Rods Focus RS 2.3 Ecoboost H Beam to any destination worldwide.